April 11, 2018, 7:00 P.M.
BOOM! Studios will be giving away FREE COMICS, including the first issue of PLANET OF THE APES URSUS, at the end of the panel discussion! Copies of Planet of the Apes: The Original Topps Trading Card Series and Issues of POTA Fanzine Simian Scrolls will also be given out to fans who ask questions during the panel discussion! 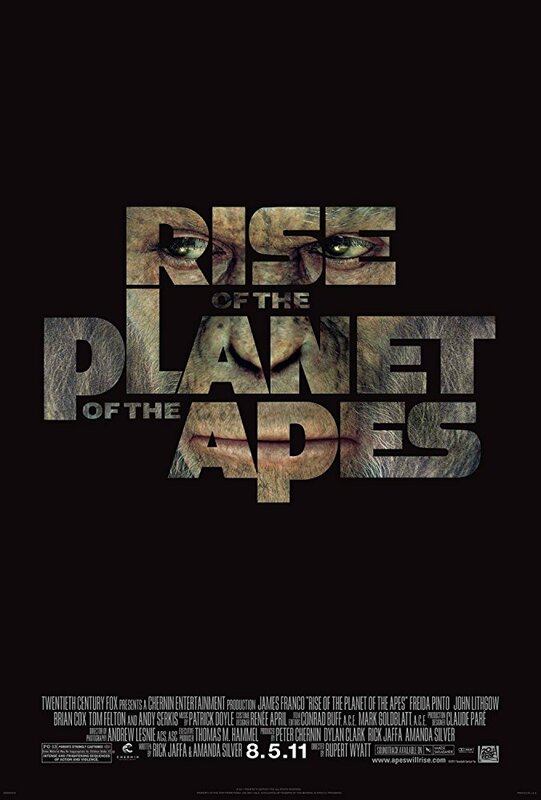 An epic and intimate account of the first stages of humanity's downfall, Rise of the Planet of the Apes tells the story of Caesar (Andy Serkis), a chimpanzee who gains humanlike intelligence and emotions from an experimental drug. Marked for death in the lab, Caesar is rescued by the drug's creator (James Franco), who raises him in secret as a human child - until he is taken from the humans he loves, imprisoned, and reminded that he can never be the equal of a human. 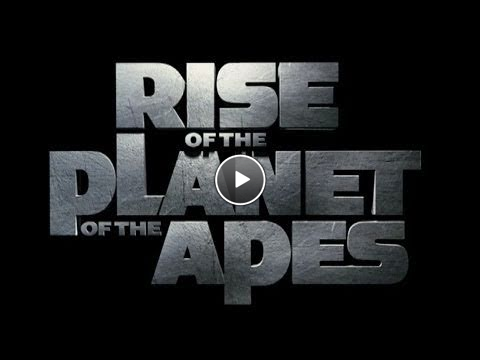 Seeking freedom, Caesar assembles an army of apes and breaks out of captivity, putting man and primate on a collision course that will change the planet forever. Provided courtesy of 20th Century Fox. Rated PG-13. Running time: 105 minutes. Roger Alford is the webmaster of The Forbidden Zone (theforbiddenzone.net), one of the oldest and most popular Planet of the Apes fan sites. He has worked with multiple companies to promote the franchise, include 20th Century Fox Home Video, Fox Movie Channel, and Del Rey books. A life-long Apes fan, he still uses his vintage Planet of the Apes trashcan from 1974. He has had the privilege of interviewing actress Linda Harrison (Nova), Screenwriters/Producers Rick Jaffa & Amanda Silver (Rise, Dawn, and War for the Planet of the Apes), and author Joe Russo (Planet of the Apes Revisited). Roger grew up in North Carolina and graduated from the University of North Carolina with a BA in Radio, Television and Motion Pictures. He also writes under the imprint of Black Hood Press. His novels include The Black Spectre series and the Veronica Mars FBI series (Kindle Worlds). Schawn Belston is Executive Vice President of Media and Library Services at Twentieth Century Fox Film Corporation. He helped start the Film Preservation program at Twentieth Century Fox in 1997. This program has expanded in commitment and scope over the years, and currently includes the management of all film and television assets, photographs, posters, and props produced by Fox. During his tenure, the studio has restored many notable films, including ALL THAT JAZZ, THE GRAPES OF WRATH, THE SAND PEBBLES, LEAVE HER TO HEAVEN and THE SOUND OF MUSIC. Additionally, Schawn oversees the on-lot Fox Media Services facility responsible for digital file mastering and delivery for current TV and Film product, as well as the Enterprise Localization and Metadata groups. Gary Gerani, author of the Star Wars Topps series, is a screenwriter, author, noted film and TV historian, and children’s product developer. He is best known as the co-writer of the film Pumpkinhead; the author of the book Fantastic Television; and the creator, editor, and writer of literally hundreds of Topps trading card sets since 1972. He lives in California. Bafna Pleban is a comic book editor with BOOM! Studios, and has worked on Planet of the Apes comics for over 7 years. She's also worked on everything from Lumberjanes to Power Rangers and definitely has a difficult time explaining to her Jewish mother exactly what it is she does. She's now well-versed at explaining the difference between the comics in the newspaper and the ones you buy in the store to relatives over the age of 60. Steve Tzirlin is the Vice President, Creative Content for Franchise Management at 20th Century Fox. In this role, Tzirlin collaborates with each division of the studio to strategically expand the universe of the Planet of the Apes, Alien and Predator franchises through ancillary platform content such as virtual reality, video games, short films, comic books, novels, consumer products and more. Tzirlin is responsible for developing story, maintaining canon integrity and growing fan engagement. Previously Tzirlin was a producer at 20th Century Fox after many years at Lucasfilm where he worked with George Lucas and Rick McCallum to develop all Star Wars television, film and gaming properties. Tzirlin lives with his wife and son in Manhattan Beach, CA.